Say it ain’t so! 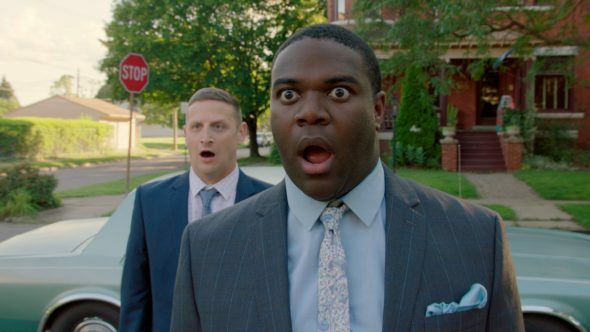 Today, Detroiters star Sam Richardson announced Comedy Central has cancelled the TV show after two seasons. The comedy stars Richardson and Tim Robinson as two best friends and small-time ad men from different Detroit neighborhoods. The cast also includes Tim Meadows, Bobby Moynihan, Mary Lynn Rajskub, Faizon Love, Amber Ruffin, and Jerry Minor. What do you think? Are you a fan of Detroiters? Do you want a third season? It’s funny. Bring it back! I loved this show! I really hope it gets picked up by another network.